Posted in Activities, Announcements, Immigration - Asylum, . The Hellenic League for Human Rights expresses its deepest concerns over the proposal of the Minister for Migration Policy, Mr. I. Mouzalas, as a candidate for the position of Human Rights Commissioner in the Council of Europe. We have serious reservations concerning the protection of human rights during his term of office, all the more so given the fact that his candidacy is not supported by a documented evaluation of his work, especially their protection. Mr. Mouzalas’ term of office has been marked by the obstinate enforcement of the EU-Turkey Statement. There is, then, the serious matter of the means used and the ways of implementing it. The fact that the Agreement is a political decision of the EU does not refute or diminish –neither should it be used as a pretext, of course– the grave issues, regarding human rights: Mr. Mouzalas, in the name of enforcing the EU-Turkey Statement, implemented arbitrary restrictions of asylum seekers’ human rights, undermined asylum procedures, and made unacceptable interventions in the work of administrative bodies. Strong evidence has been put forward to illustrate the severe consequences that have been caused by the long-term confinement of thousands of refugees and migrants in the islands, through the enforcement of geographic restrictions. This is an administrative measure that is unsupported even by the relevant Joint Statement. Various national and international human rights groups have released a number of reports that have stressed the serious consequences on the migrants’ and refugees’ fundamental human rights, as well as the weakening of the asylum institution. The National Commission of Human Rights has drawn attention, in its latest report, to a series of rights violations in every stage of the management of the refugee crisis. The Greek Ombudsman special report likewise has found many failings in the management of the refugee crisis and the restriction of refugees’ rights. In particular, the fast track border procedures are often carried out without the minimum procedural safeguards, while the systematic and indiscriminate imposition of geographical restrictions has made the eastern Aegean islands into buffer zones and places of indefinite detention. Many humanitarian organizations have pointed out the significant deterioration in physical and mental health of the people that have been trapped in the Aegean islands for more than a year, living in conditions that are unsuitable for long-term stay, in facilities that are housing far more people than is feasible, with insufficient access to basic amenities such as heating and hot water. We should note that the unacceptable conditions in the Reception and Identification Centers have been outlined in the recent report by the Committee for the Prevention of Torture. Unfortunately, these reports have not been taken into account during the implementation of the Ministry policies, and the intentions of the organizations that have published them have been frequently doubted. Unfortunately, these reports were once more not taken into account when Mr. Mouzalas was put forth as a candidate for the position of Human Rights Commissioner. The unsafe and dangerous living conditions in facilities that are unsuitable for winter weather resulted in the death of 5 people during the previous winter, while the declarations for the amelioration of the current state of affairs and the preparation for the coming winter are daily put in check by reality. Indeed, the danger of still more incidents of this sort has been already pointed out by the United Nations High Commissioner for Refugees. The above cannot be merely written off as a serious case of administrative inadequacy; on the contrary, it is the conscious implementation of a political deterrent with a very real cost in human lives. The same can be said about the consequences of overpopulation on the island communities, the fragile social and political cohesion, and the manifestation of racist behavior. 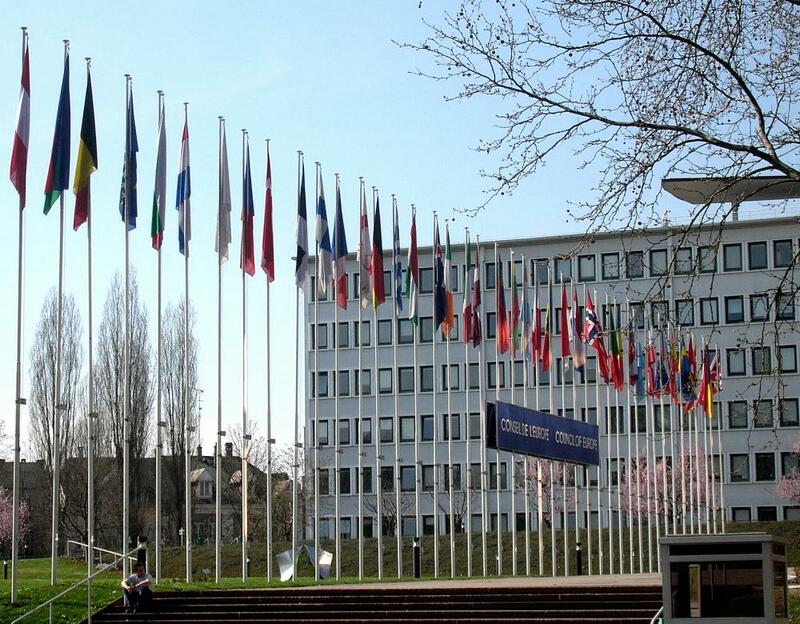 The institutional role of the Human Rights Commissioner in the Council of Europe is incompatible with words of derision for international treaties or with statements that promote xenophobia. We note here just two such statements by Mr. Mouzalas. On March 16th, in Lesbos, he stated: “The Geneva laws and the Geneva Convention were the lifejackets of the smugglers and the boats that come here every day”. On February 6th, in Elliniko, he said the following: “When they shouted we want our kids to go to school, the school buses were outside waiting for them. Your kids [he means the Greek kids] don’t go to school in school buses”. In addition, Mr. Mouzalas public speeches contain disparaging remarks towards the humanitarian organizations and human rights groups that gave aid in a very crucial point of the refugee crisis, which was what happened recently with Amnesty International and Doctors Without Borders, whose findings were put in question. The implementation of the EU-Turkey Statement acts as an umbrella for the enforcement of a politically motivated deprivation of human dignity and safety from the people who need protection. The implemented policies are frequently much more severe than the ones dictated by the Joint Statement articles. We wish to remind the critical resolution by the Commission for Immigration, Refugees, and Displaced Persons of the Parliamentary Assembly of the Council of Europe, one month after the implementation of the Joint Statement. Furthermore, we should point out the pressure exercised by the Minister on the administrative bodies. More specifically, two months before the voting of law 4375/2016, which designated the Committees of the P.D. 114/2010 as competent to examine asylum applications in the second instance, and after the first decisions which judged that Turkey is not a safe country for returning Syrian refugees, Mr. Mouzalas put forth a fast-track amendment which proposed to alter the Committees composition. Earlier, he had made inadmissible interventions in their work, as was described by the members of the Committees in their joint letter. The speed with which the change of the composition of these Committees was proposed and executed caused the reaction of legal organizations and civil society. The National Commission for Human Rights, an independent advisory body of the Greek State on matters of rights protection expressed its grave concerns about the fact that the changes in article 4375/2016, about the Independent Appeal Committees, came at the same time when the –then operating– Appeal Committees under P.D. 114/2010 had issued their first positive decisions. The Ministry restricted the rights of asylum seekers, and in the process directly breached international refugee law, in order to limit the number of persons who legally appeal, by forbidding asylum seekers in the Aegean islands whose applications had been rejected in the first instance and had already appealed, to participate in the International Organization for Migration voluntary return programmes. This policy resulted in making access to asylum procedures even more difficult and to change the voluntary character of participation in the IOM return programmes. In this record we should include the assent of Mr. Mouzalas, which he has publicly admitted, to impose a monthly quota in the transfers of asylum seekers who are eligible to be reunited with their families in Germany, in accordance with the Dublin III Regulation. More specifically, after the political agreement of the Greek Minister of Migration Policy and the German Minister of the Interior the family reunifications in Germany were fixed to a specific monthly number, resulting in a breach of obligations by the State, the “internment” of thousands of people in Greece and the de facto violation of their right to family life. In total contrast to the above, the present Human Rights Commissioner has criticized the policies that restrict the right of family reunification, calling all member states to put an end to long periods of waiting and to the restriction of the right to family reunification. Finally, we should note the accommodation of persons in facilities under the responsibility of the state, where there are no security regulations in place, with non-existent rules of procedure, without appointed directors and with contradictory rules, with a complete absence of a framework of accountability, responsibility, and control mechanisms. Let us remember that there are only four accommodation centers which operate under a legal framework. To this uncertain state of affairs created under Mr. Mouzalas in the Ministry of Migration Policy we should add the failure to put in place an effective administrative mechanism. This is supported by the resignations of four Secretary Generals, two Directors of the Reception and Identification Service, as well as the letter of the employees of the Reception and Identification Service denouncing the policies of the Ministry. In light of the above, it becomes clear that during his term of office the Minister didn’t implement policies in support of human rights, but was in support of their supplanting by a set of restrictions, exceptions of the rule of law, interventions, and insufferable administrative practices. It is obvious that the evaluation of the term of office of the Minister of Migration Policy shows that he isn’t of good repute to support the values of the Council of Europe. These are the reasons that lead us to have serious reservations about the proposal of Mr. Mouzalas as a candidate for the institutionally significant position of Human Rights Commissioner in the Council of Europe.